Our customers can avail from us a variety of Pump Spare Part. Our vendors test these high end valves for quality in their testing unit only after which these are offered to the customers. 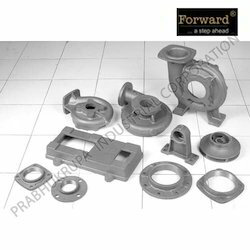 Also, these are extensively demanded by various sophisticated industries and sectors and appreciated for their features like corrosion resistance and perfect finishing. With our consistent focus on globally hit trend, we proudly introduce a wide assortment of Pump Spare Part. This spare part is acclaimed in the market owing to its enhanced durability. Our spare part is developed using high grade material and latest technology. We are giving this spare part in different models to suit ever-evolving needs of our patrons. Also, this spare part is inspected by our quality experts on well-defined parameters so as to deliver a flawlessness range.